As man stumbles through the domain of time, the scientific community has been ever involved in discovering the answers to both the microscopic and macroscopic traits of our universe of existence. In a quest for Beginning’s answers as well as Tomorrow’s direction, the greatest thinkers of our day have most recently toyed with quantum mechanics and the general theory of relativity as they address the two spheres. While the atom is being split in two and the farthest star simultaneously limps further from our telescopic view, answers don’t come easy, if at all. The newborn String Theory notwithstanding, brilliant minds have wrestled significant lifetimes and arrived at only partial understandings. Yet everyone has contributed to some small progression of our accumulated knowledge and a firmer grasp of the truth. Which brings us to Rob Zatechka: I think Rob has some answers for us. Wrestling academia while alternately pancaking opposing D-linemen and linebackers, Rob excelled at both. He was, and perhaps is yet, the Ockham’s razor in my quest for anwers and revelations to the great 60 & 3. The term “Ockham’s razor” refers to a logician’s shaving away, a peeling back, a throwing off of the inconsequential facts in pursuit of an accurate, more pristine, truer way of thinking and knowing. It sets one’s head to spinning, to be quite honest. So -with all the brainy mumbo-jumbo aside- I think you’ll find a few answers and surprises in what our thinker Rob Zatechka has to share as we further travel on our quest of my great Why and How of that era. Rob Zatechka: I remember that, and that was like 19 years ago. A bunch of us would look things up on guys through the internet that summer, a few of us guys hung out that summer before our freshman year. Wiegert had moved in with his brother, so Zach and I would work out together 4-5 days a week that summer. And it was like, ‘I wonder what this guy’s going to be like?’ We couldn’t wait for everybody to come to Lincoln. And it’s funny now that you look at it: Wiegert grew up here and still lives here, Graham came from Texas and now he lives here in Nebraska, Stai moved here from California and he lives here in Nebraska, and then you have Joel Wilks who grew up here, and then he goes and moves to Portland, Oregon! Funny. RZ: It would have been the fall of ’90. Right off the bat I redshirted that year. I took Poli Sci 100 during the summer, so it was a good way to get acclimated. And I was working out with the team during summer conditioning and stuff so that was a good way to get in shape and started getting used to the atmosphere and system down there. Q: Anything take you by surprise? RZ: Number one was just the sheer number of guys. A huge number of guys. And even with the volume of guys with the coaching staff (and when I say ‘coaching staff’ I’m talking about the football coaches, the strength coaches, the athletic trainers, all the way across the board), how systematic it was, how organized it was. Everybody kind of had a feel for what everybody else was doing. Everybody was really knowledgeable with what everybody else was doing and for as many guys as you had to deal with, and at that time the walk-on program was probably one of the strongest ever there. That was also before most of the scholarship cuts had happened, too. Now it’s something like 85 scholarships, but it was still 95 and might have been more, even, than that. I remember they did one scholarship cut when I was in college, and then they cut to 85 scholarships right after I’d left, if I recall. 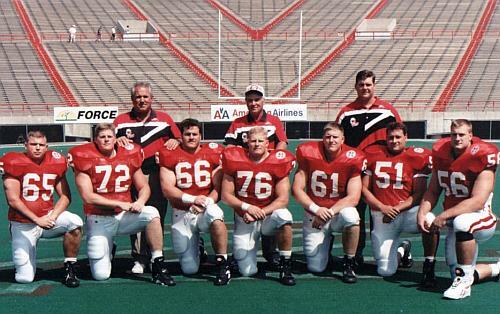 So you had these huge 95-plus scholarship players and then you had nearly that same number of guys who were walk-ons. And then during fall camp you always had your guys who came to the realization that, ”Hey this just isn’t for me,” and they’d leave, so you’d always end up with something like 160-180 guys. Just the fact that everything stayed so structured and organized, that was probably the biggest thing. Q: Let me ask you: was Kenny and his deafness kind of an inspiration to you guys? RZ: Well, there were a lot of guys who were really good role models. And Nebraska has always had that. Now, you can have a lot of good role models and a lot of good leaders. I think the things that kind of hurt us early on -and I say ‘hurting’ and you have to put that into perspective: a subpar year at Nebraska was 9-2, 9-3, and that was considered a sub-par year. A good but not great year was winning the Big 8 Championship. And I think about that time period and we won the conference championship every year I played, except for my redshirt year. But we had that run in the ’90’s where it became almost mundane to win the conference championship, and you think about the 1980’s where you’re always battling and in some years come up short to Oklahoma, you had basically ’82, ’83, ’84,’85, 86, ’87, ’88, winning the conference championship. Winning the conference championship was the goal, but in the ’90’s it was assumed it was something you should do. The higher expectation was winning the national championship – during the ’90’s there- I think the growth that you saw was a lot of the increased emphasis on team unity. I’m sure guys have mentioned that before. One of the things I remember (now, I use this as an example of sort of a general lack of unity): I don’t think there was a racial divide on the team, really, but there might have been a mild undercurrent of one. 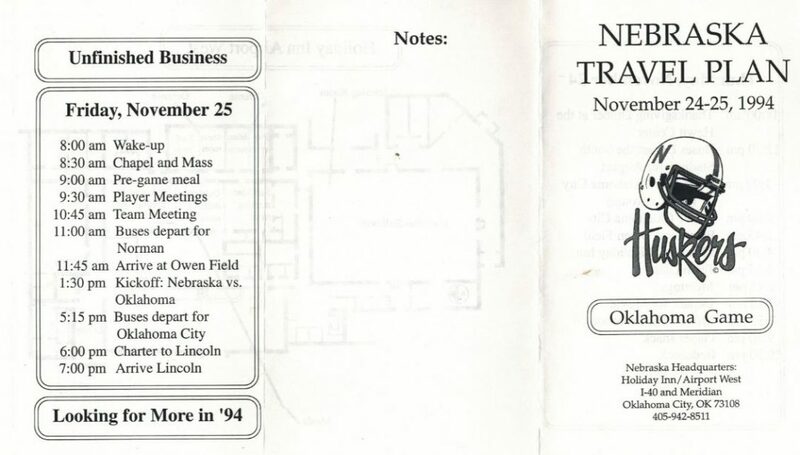 But one of the first team meetings -they actually held it in the old weightroom- and I remember all the backs and receivers were on one side of the room, offensively and defensively, and most of the linemen were on the other side of the room. And I just remembered looking at it, ‘You know, you’ve got two groups of people here. They get along, but nobody’s definitely going to be asking anybody from the other side of the room over for dinner.’ It wasn’t unfriendly, but conversely, you had two groups of people who weren’t unified and on great terms with each other. I think there was a bigger emphasis after that 1990 year, to focus on bringing people together. And they created the Unity Council that was jointly the coaches and jointly with Jack Stark, the team psychologist. The thing the Unity Council did was foster a lot of unity, getting people to work together, understand each other, and just have an increased cohesiveness within the team itself. At the same time, when you take a group of people, from kids across the board on the team -the Unity Council was freshmen through seniors, it was linemen, it was backs, it was white guys, it was black guys, it was a mix of everybody- it forced guys to see things from other viewpoints. It helped bring the team together. The other thing that it really helped, it felt like it gave the players themselves a little bit of a stake, a little bit of ownership in the team. So all of a sudden team rules and regulations, punishment for breaking those rules, a lot of that ended up being decided by the Unity Council. So now if there is a team rule, it’s the guys you’re lining up next to that accept those rules, who set those rules for you. If you break those rules it’s that teammate of yours who’s gonna have to punish you, that teammate of yours who decides what that punishment is going to be. All of a sudden there’s a huge emphasis that everybody is beholden to everybody else on the team, and when that happened it really did a great job of bringing everybody together: “I’m out here and everything I do, I’m doing it for the guy who’s lining up next to me. When I’m on offense, everything I do is trying to make it easier for the guys on the defense, because he’s out there trying to watch my back, as well.” All of a sudden, I think that really changed things in terms of common goals, having sort of a common attitude among guys on the team. RZ: Hugely so. If there was any selfishness before that -I don’t think there was a lot, but probably a little bit of that- it really got pushed aside. And I think the guys were out there with an increased effort to try and win it for that guy who was wearing that same jersey lining up next to you. Q: Do you recall anything from the coaches, preaching the unity aspect to you? RZ: You know, they did. And I think it was an issue that Coach Osborne had always tried to preach in terms of common principles: principles that successful people, successful organizations follow. I think Osborne always had a set of rules and principles that he did things by, and he always had a very -and I hate using the term ‘game plan’, but it is football and it is a game plan, and Osborne always did- he always had a very focused goal in mind with everything he did, and he always had a very focused plan to achieve that goal. And I think the unity within the team was something that he always preached, but there was a process to go through to find the best way to do things. And I think working with Jack Stark and implementing the Unity Council, I think that’s where you started having that final piece of placing that plan into place. It’s one of those things where if Osborne had not retired after the ’97 season, that run of success he had from the early ’90’s onward, I firmly believed he would have continued. It might have taken 20 years, and as good as Osborne was it took him 20 years to figure out the exact formula to win a championship nearly every year. And he found that. Now, I don’t think Osborne’s goal, ultimately, was to win championships, I think his goal was to do the best job he could, creating good football players and helping people become the best people that he could. And in the ’90’s he found out his best formula. ’99, 2000 they would have won and been in the running for the national championship and been a top 5 team. That trend would have continued there. Q: Any recollections of your interactions with him? What made him unique, from your perspective? RZ: I think he was. It was a combination of things: Number one, you’ve got a guy from Nebraska, who when you meet the guy and get to know him a little bit (there are very few people who know him very well) he’s a frighteningly down-to-earth guy. Very, very down-to-earth guy. That’s the way he was brought up, I’m sure. Yet, at the same time just hugely, hugely intelligent. I firmly believe the guy’s a genius. The other thing, more strongly than that, though? Number two, he’s hugely principled. He’s got a very strong spiritual sense and a very strong moral sense, and I truly don’t think he’s gonna bend those for anything. 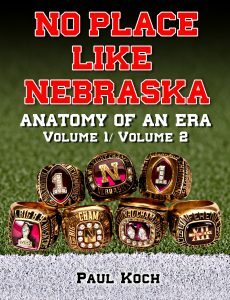 Now there’s specific instances –say, the Lawrence Phillips affair- and you’d hear people say, “Why didn’t Osborne just boot that guy off the team never to see him ever again?“ And then you hear people say, ”He just used that as an excuse for him to play.” I think Coach Osborne truly felt that if he just completely cut all ties with Lawrence it would have been the worst thing possible because you’re just unleashing a loose cannon out into the world. I think Osborne’s take was, “If we can manage to keep him in a somewhat structured environment, it’s the best option we might have to help him succeed, make him a better person.” I truly think that he was thinking, “If we can change this guy, make him a better person….” And Lawrence has hurt more people since then, but if we were able to keep him in counseling, get a better education, we’d not only make his life better, but make it better for the whole world. I just don’t think he was keeping him around to win a national championship.